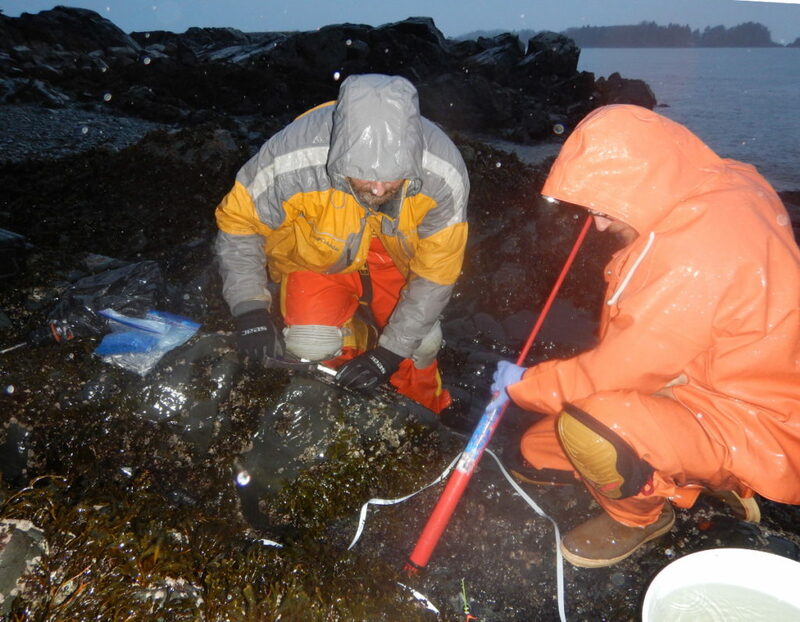 The process of sampling all of our experimental tide pools in Sitka is slowly coming to an end for this trip. We carried out several rounds of water sampling for water chemistry during the daytime and nighttime, along with surveying diversity in the pools and prepping the pools for the future summer experiment. Taking water samples for the pH and alkalinity measurements that go into assessing acidification in the pools is incredibly tedious, since it requires a certain amount of care. We draw water up from the bottom of the pool, then slowly distribute it to two sample bottles while minimizing bubbling and mixing with the air (which would affect the readings later). We also grab a third sample to be used in assessing nutrients. This video gives a sense of how tedious the water sampling can be. See if you can suffer through the whole thing. Installing mounting bolts for the heaters that will eventually go in these pools requires the use of a hammer drill to put two holes in the rock. First we need to pump out the pool temporarily, and then drill the holes. Masonry anchors allow us to then screw lag screws into the rock to hold things down. When it’s raining we end up wrapping the $1000 drill in a garbage bag to keep it semi-dry. Using a bilge pump to temporarily remove the water from the pool before drilling. 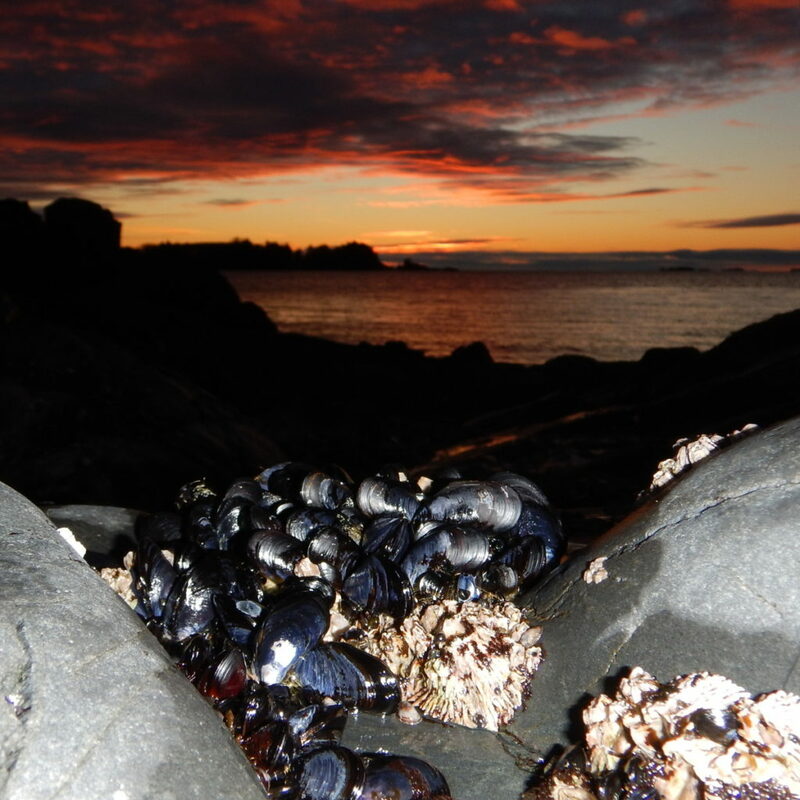 Along the way I’m also finding some critters that I haven’t seen in person since I last spent time in the intertidal zone in Washington. 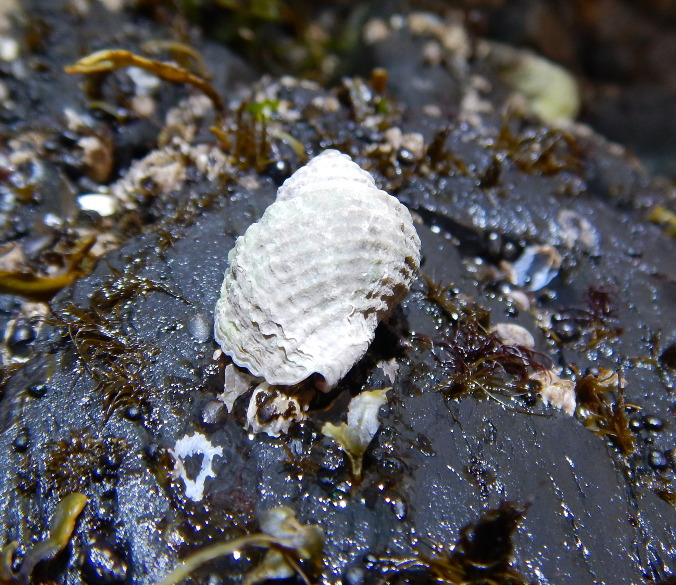 Littorina sitkana (center and right) and Littorina plena (left, with the pointier shell spire). 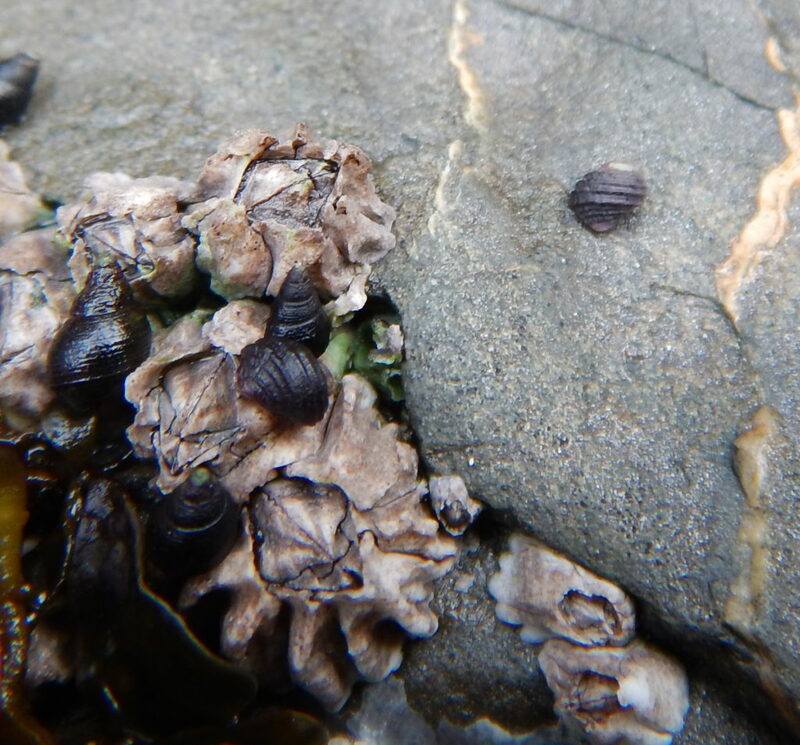 Mytilus trossulus and Semibalanus cariosus. 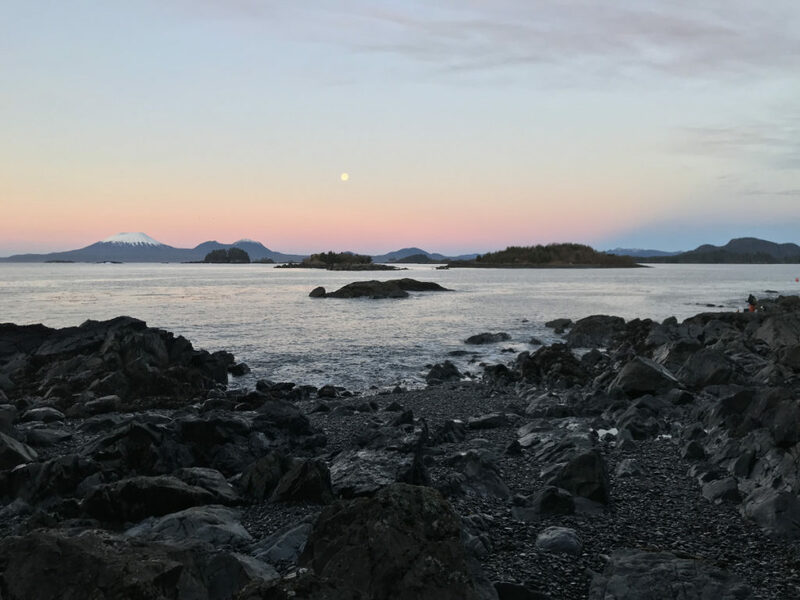 Mount Edgecumbe on the left, setting moon in the center, and part of our field crew on the far right.